A coming of age story which follows Ellen, a young deaf girl stuck in the middle of the deaf and hearing worlds. Feeling as though she doesn’t fit in, Ellen learns sign language, attempting to enter the deaf world by taking part in a sign song competition in London. However Ellen is about to find her journey more difficult than she first thought. Awards: Best short film, Deaf in the Picture (Amsterdam) 2011, Best actress, Clin d’Oeil (Reims, France) 2011, Shown at Brighton International Festival 2011, Adelaide Film Festival (Australia) 2015. When Annie, who is Deaf, meets Sam, who is hearing, in a cafe, the conversation is tense and awkward. Sam can’t sign and Annie can’t lipread him. Why are they meeting? And can they find a connection? Meanwhile, Annie’s husband Roy is ill and he’s getting worse. What can we read into his visions? 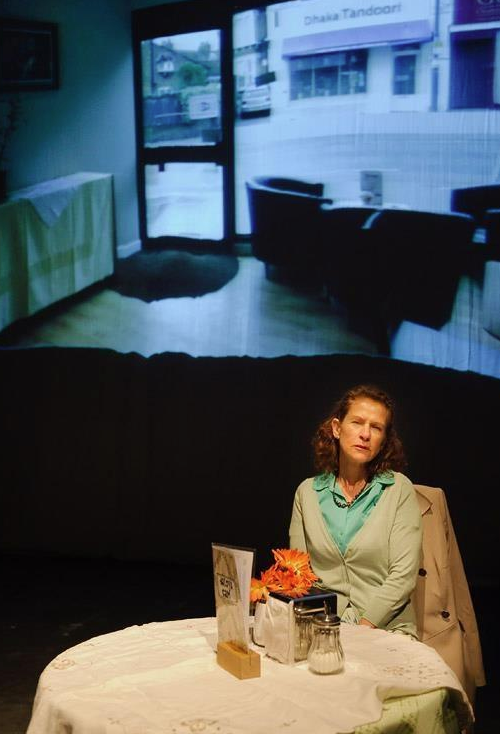 This play was researched with the help of the British Association of Adoption and Fostering, and was shown as part of Deafinitely Theatre’s scriptwriting showcase, 4Play. Mine featured projection, multimedia and voiceover. ‘Lipstick & Lollipops’ follows Isabel, a Deaf teenager who moves to London with her mother. Unsettled, Isabel rebels by escaping to a late night party. As the night unfolds, Isabel confronts the past she has been hiding for so long. Toured the UK and had a two-week London run at the Drill Hall Theatre.